Al and I are always saying we have to get out more, try more things. OK no I lied. That is more him. He is so much more adventurous than me ... but he has a point. I want our kids to try a huge variety of things! Each year we discuss hitting different food events but prior to now the boys have been so young and something always seems to come up. Now that they are 5 and 7, we have decided that this is the year. 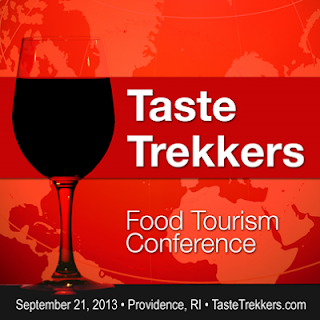 Last week I heard about the Taste Trekkers Food Tourism Conference and I was immediately intrigued. It is the nation’s first event designed for people who plan their vacations around food. It brings together hundreds of chefs, farmers, food bloggers, travel writers, culinary students and other passionate foodies as it showcases regional cuisines from around the country. Hungry yet? I know I am! They do this all around the country. And now they have decided to come to Providence, RI in September! Why Providence you ask? Because we were just named the number one culinary destination in the country by Travel and Leisure Magazine. So exciting! The Taste Trekkers Food Tourism Conference event will feature a cocktail reception, a tasting pavilion, a food truck court (I am loving the thought of a food truck court - my husband is a huge fan of the food trucks), and group dinners all around the city of Providence. 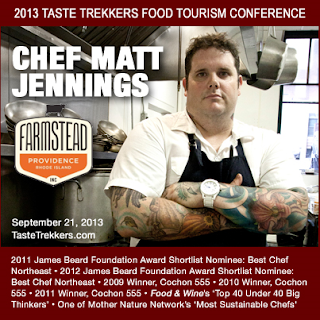 Matt Jennings, the celebrated chef behind Farmstead in Providence, is delivering the conference’s keynote address. The event will be held September 20-22, 2013. Their goal is to show passionate foodies how they can explore the world through cuisine by bringing together chefs, farmers, winemakers, and other artisanal food producers from different areas. I am beyond excited that this is going to be a local event for us! Who will attend you ask? They say that this conference is for anybody who loves to travel and loves food. It will attract hundreds of food bloggers, travel writers, culinary students and passionate foodies. Everybody is invited, whether you are a seasoned traveler or looking to plan your very first culinary vacation. You do not need to be a food tourism professional to attend, but professionals are welcome and are likely to find a lot of value in this event.While they expect that most attendees will come from New England, foodies from all over the country are welcome. We do however need your help to get this conference rolling! To make the event happen, a Kickstarter.com crowd funding campaign has been set up. In the first 48 hours it raised over $2,000 towards the goal - which is amazing! Help is still needed though, as they have over $10,000 more to raise in the next 22 days. Check out the video below, and then you can pledge your support here. You can also follow up with them on Facebook and Twitter. *Disclosure: I will be receiving a ticket to the event in exchange for this blog post and social media promotion. Opinions are, as always, my own. This looks like so much fun! Who knew Providence was such a destination? We are lucky! I'm so excited!!! I <3 food! We're going to have a blast. Hope it gets funded! This looks nothing shy of AMAZING!!! Have so much fun!!!!!!! 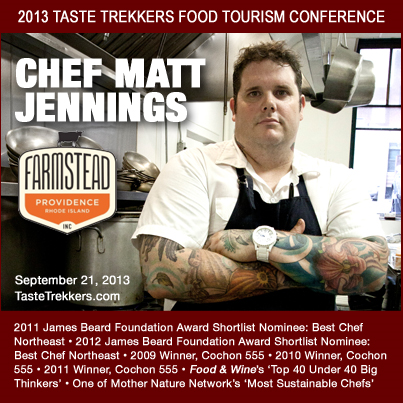 This is so cool that they are having a Food Trekker conference here! As someone who loves to eat and loves to travel...I'm in! How much fun is this event! I want to go! I read about this coming! So awesome! So cool! I shared info about it! Hope it gets enough support! as benefit of the game. In fact an ideal online casino will make the entire gaming experience a pleasurable and a real experience to the gamer.